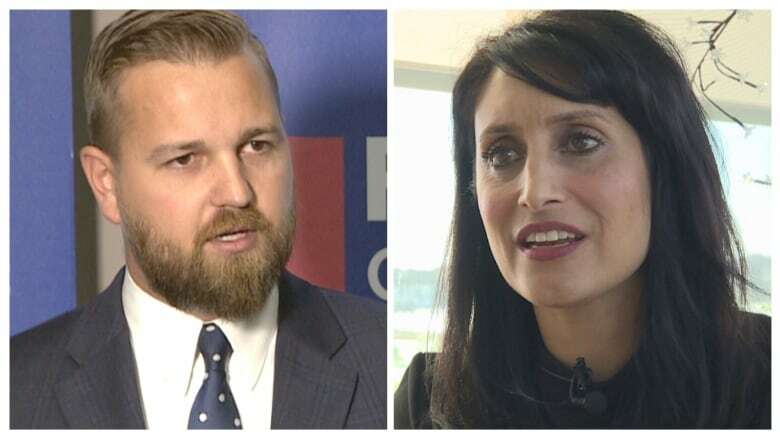 Just east of Calgary there's a battle brewing between two well-known names in conservative politics in the riding of Chestermere-Strathmore. This new riding is made up of pieces from the former Chestermere-Rockyview and Strathmore-Brooks ridings. 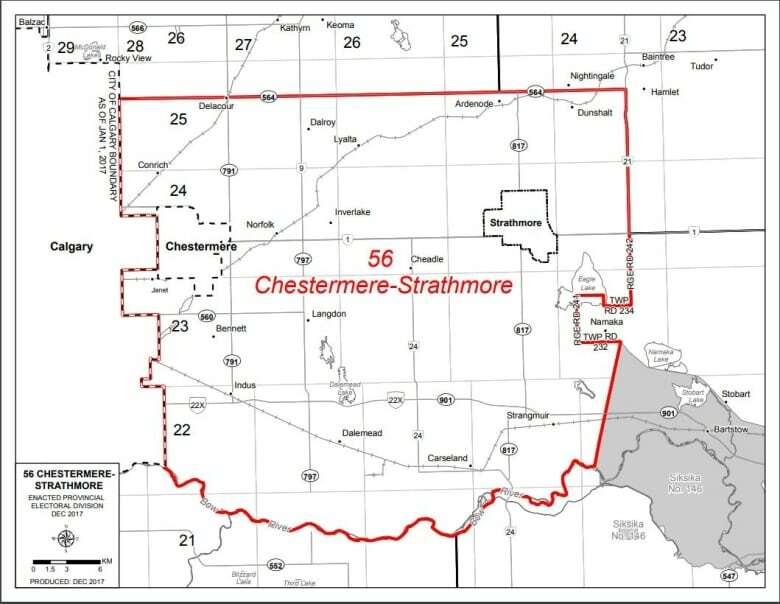 According to the Alberta Electoral Boundaries Commission, the new configuration puts the town of Strathmore together with the city of Chestermere because both are bedroom communities to Calgary with common interests. And because of that redraw, two politicians who used to be Wildrose colleagues are now going head to head. The incumbent in the riding is UCP deputy leader Leela Aheer. And Derek Fildebrandt, who used to represent Strathmore-Brooks, is running as the leader in the newly-formed Freedom Conservative Party. One thing that comes up in this riding is the feeling of being left behind. It's especially felt in Langdon, where Chrissy Craig has been fighting to get a high school built. And she attributes a lack of action with the fact that her riding has elected representatives who aren't part of the majority government. "We have no recreation out here," she said. "There is nothing for our kids to do. We don't have a high school. We are … one of two communities within Alberta that doesn't have a high school at this size." She said electing someone who is part of the majority government would help amplify her community's voice and get more of the infrastructure she feels Langdon needs. Rocky Bloken is the owner of Rocky's Bakery in Strathmore. He says as a business owner this election he's looking at business costs and the down economy. "Expenses are up, revenues are down," he said. "Eventually it starts hurting the bottom line." He says the characteristics of Strathmore and Chestermere are night and day — with Chestermere appealing to more of a bedroom community resident and Strathmore being more rural. In the last election, Aheer was a Wildrose candidate. She supported the UCP merger and was named deputy leader in 2017. While Aheer says she will do anything for her constituents, she had troubles during this election cycle. She says she doesn't blame voters for feeling left out. "We have been fighting for so many things," she said. One of the issues she talked about, in particular, was the dangerous highway crossings and merges that motorists, especially kids in high school, have to use every day. "It's been very frustrating watching that very few things have been done," she said. "These are really easy fixes. They're low-hanging fruit, they really are. But we just haven't seemed to be able to get any pickup." Fildebrandt joked the electoral boundary could be known as the Trans-Canada riding — because Highway 1 runs straight through it. "You can drive from Peters' Drive-In in the centre of Calgary to Strathmore without having to turn your steering wheel," he said. "Except for once, there's one traffic light." And he agrees there are safety issues that come with the major roadway. But those issues don't mean he's going to advocate for a handful of overpasses to help cars travelling on range roads make it across the highway. "We're going to be honest with people, we're not going to do the old-school Tory thing where you promise more spending and less taxes at the same time," Fildebrandt said. "That's mathematically impossible." Both candidates have big-picture concerns about the economy and responsible government spending. "There's really important infrastructure needs, but there's a finite amount of money in the government," Fildebrandt said. "We can't continue to borrow money. We need to cut spending." He said cutting spending doesn't mean the government has to stop functioning. He believes there should be a public infrastructure list that shows where each project across the province falls in terms of priorities. Melissa Langmaid is running in the riding for the NDP. She's lived in Strathmore for three years and works in the oil-and-gas industry. With the Alberta Party, Jason Avramenko is also vying for a spot. He's an educator.